When you are tanning, in your skin, 7-dehydrocholesterol molecules make D provitamin3Which is then isomerized to vitamin D3. The key point of this reaction is the rearrangement of the electronic structure and the discontinuation of one of the rings of 7-dehydrocholesterol, occurring after photon absorption. Chemists call this process electrocerization. Unfortunately, due to the complex structure of organic molecules study the synthesis of provitamin D3 Hard. Therefore, scientists often learn another response, used as a strange model of photosynthesis – turning 1,3-cyclohexadiene into 1,3,5-hexatriene, during which one ring of six carbon atoms is broken. 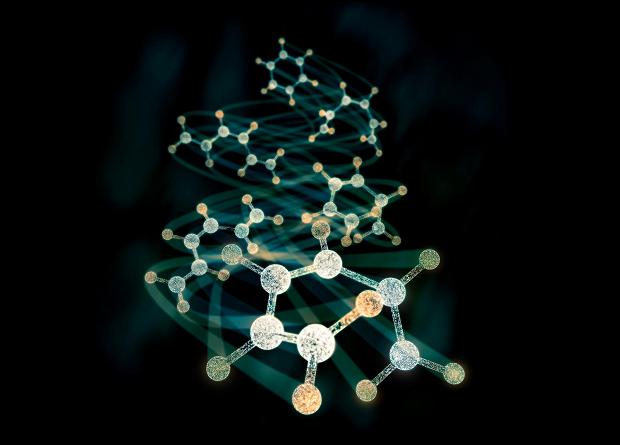 Over the past ten years, chemists are actively studying the electrocerization of 1,3-cyclohexadiene, radiating the material with X-ray and X-laser, and then measuring the spectrum. These experiments allowed scientists to detect the distortion of the electron's cloud and assess the duration of the process, but they lost sight of the rearrangement of the atoms of the molecule. In principle, this gap can be eliminated by means of spectroscopy, which sees the movement of the atoms, but for a flat potential, which breaks the cyclohexadiene molecule, this method is powerless. 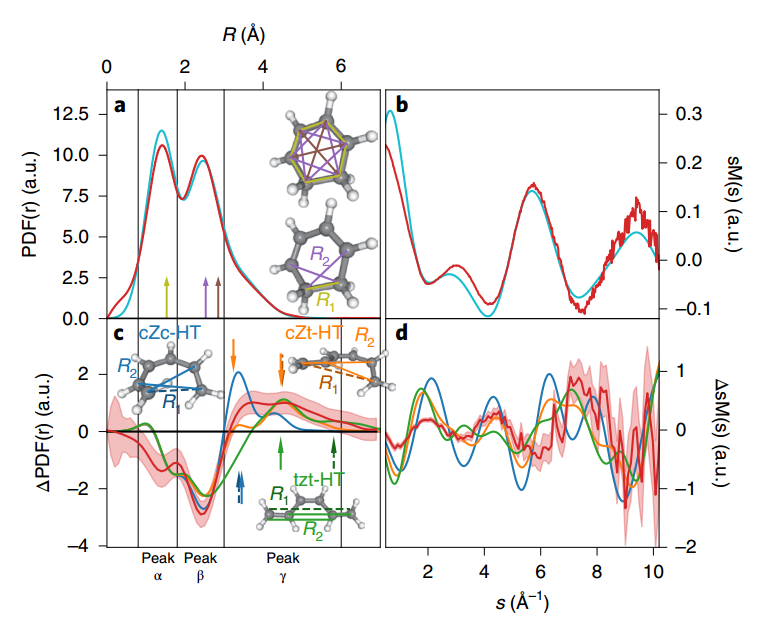 Some significant results were achieved only in 2015 when scientists from the National Accelerator Laboratory of SLAC learned how to restore molecular geometry using an x-ray and transparent X-ray pattern (you can learn more about this work in our news). Unfortunately, at the same time, scientists were not able to achieve high spatial resolution, so it was not possible to track the opening of the ring in all details. Now, however, the researchers have improved the method by replacing the X-ray laser with a beam of high-energy electrons (energy in the order of 3.5 MeV, a speed of about 0.992 light speed). Because the wavelength of such electrons is less than one micrometer, the conception pattern captures much smaller details than in the case of an x-ray laser, allowing the distances between the atoms of the molecule to be reconstructed. And since the duration of the flash, which the sample irradiation, does not exceed 160 femtosonds, scientists can also monitor the breakdown of the molecule in real time. As a result, researchers not only see the breakdown of molecules, but also discovered some unexpected effects. At the beginning of the experiment, when the ring is closed, only two peaks can be observed in the spectrum, which correspond to the two possible distances between the carbon molecules. 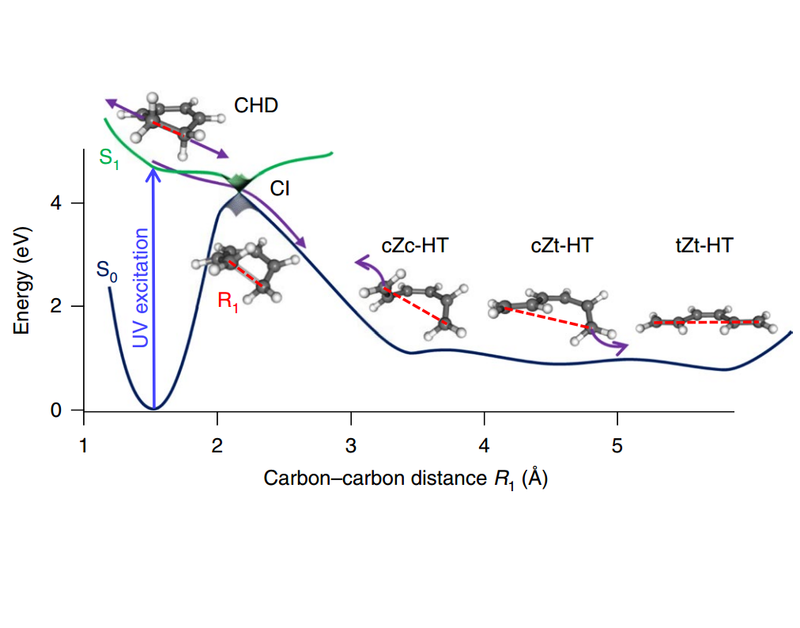 Hydrogen – hydrogen and hydrogen carbon bonds can not be seen, since their power is much less than that of carbon-carbon bonds.Then the scientists demonstrated a sample on the sample using an ultraviolet laser (wavelength of 267 nm) and waited for 550 femtosonds. The primordiality disappeared and was replaced by other peaks connected to larger distances between the molecules. Moreover, a set of final peaks has not been corrected and continued to change over time. It corresponds to the vibrations of the hexatriene molecule, during which it passes between one of the three isomers, varying in size from the bending of the chain. In comparing the experimental and calculated location of the circumference peaks, the scientists returned the shape of the molecule at any given moment and collected it into a short "film". Interestingly, the molecule finally "calmed down" and moved into a straight chain just after twenty picosonds. According to scientists, they did not expect the process will take so long. Physicists hope that in the future their method will also allow for the study of other chemical reactions that are not accessible to traditional observations. Currently, researchers are increasing the temporal and spatial resolution of the method and are trying to standardize it to make it available to other scientists.